Be kind. It's such a simple phrase, but really, it should be the basis for everything in life! 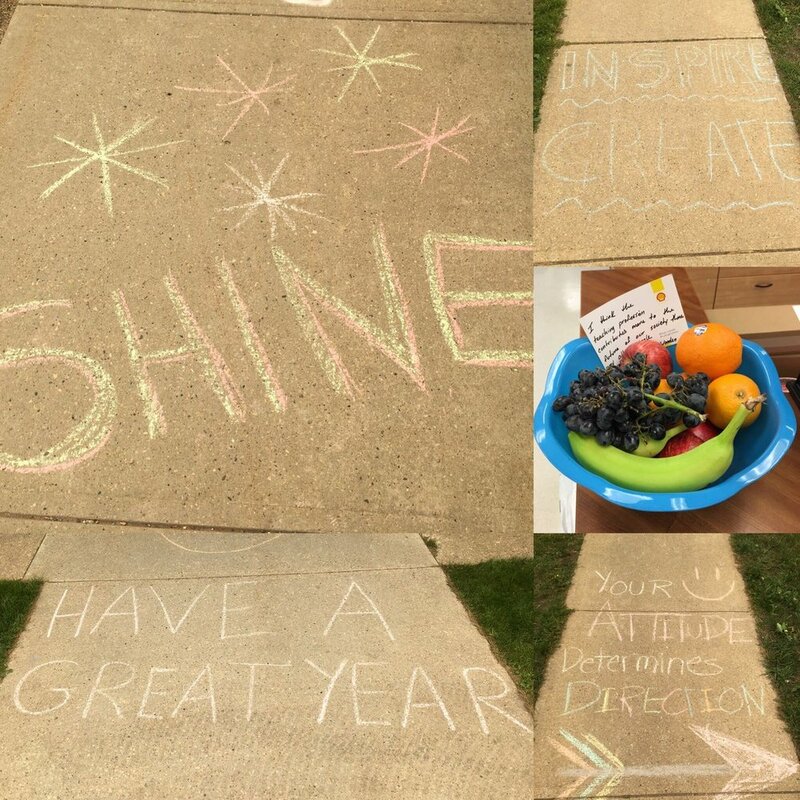 Shell Canada approached us about a simple initiative aimed at fuelling kindness in our community. 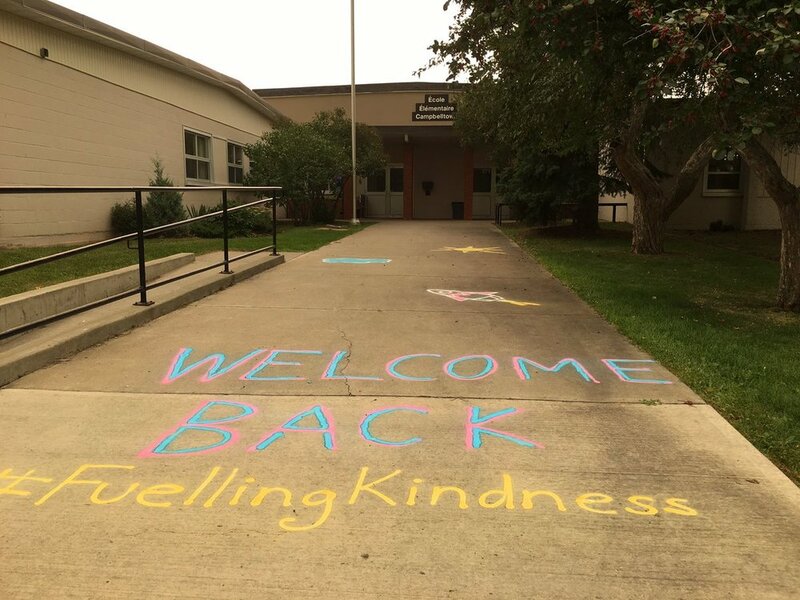 A team of dedicated volunteers woke up extra early this morning; not because they were excited to send their kids off to their first day of school, but because they wanted students, teachers, staff and parents showing up to the first day to see words of wisdom, welcome, inspiration: words of kindness. 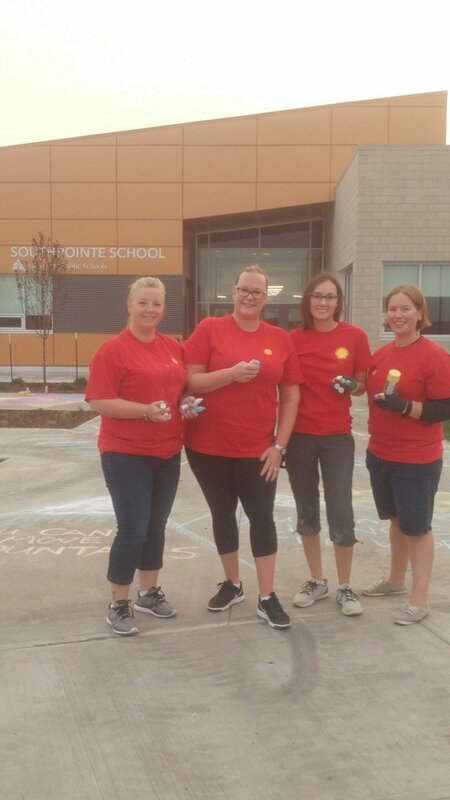 These volunteers from Shell Canada descended on elementary schools in Sherwood Park, Fort Saskatchewan and Bruderheim to put chalk to pavement and brighten up sidewalks, as well as people's days. Twitter is normally full of back to school posts on the first day of school, but these are dwarfed by the posts from schools, school divisions, teachers, parents and Shell filled with photos of this wonderful artwork. I've seen tons of posts on Facebook too, including in Moms' groups where the initiative has been received with overwhelming praise. I stopped by Westboro this morning and I don't think there was a square foot of sidewalk that wasn't filled with brightly coloured pictures and words of wisdom. Parents and kids alike were full of smiles as they read the messages. I got to meet Matt and Stephen who were responsible for the tons of artwork there. The Strathcona County School Traffic Safety Partnership is an incredible example of collaboration. We are better than simply the sum of the individual parts; by working together, we can accomplish so much more. We were so excited to work with Shell Canada on this initiative to fill our community with kindness. We are truly blessed to partner with such amazing organizations; both within our partnership and outside too. Thank you again Shell Canada for #FuelingKindness in our community! Check out some of the other amazing photos of support and inspiration. Check out this link to see the posts on Twitter (or search #FuellingKindness). While this initiative was by no means simple (it took tons of people hours of work to pull it off), being kind is! What can you do today to help fuel kindness?